Liczba stron: 351 Jest to ujednolicona liczba stron, która ułatwi Ci porównanie długości książek. Każda strona Legimi to 200 słów. Benjamin Franklin FRS FRSE (January 17, 1706 [O.S. January 6, 1705] – April 17, 1790) was an American polymath and one of the Founding Fathers of the United States. Franklin was a leading author, printer, political theorist, politician, freemason, postmaster, scientist, inventor, humorist, civic activist, statesman, and diplomat. As a scientist, he was a major figure in the American Enlightenment and the history of physics for his discoveries and theories regarding electricity. As an inventor, he is known for the lightning rod, bifocals, and the Franklin stove, among other inventions. He founded many civic organizations, including Philadelphia's fire department and the University of Pennsylvania. Treads on it daily with his clouted shoon;"
the interesting, human, and vividly told story of one of the wisest and most useful lives in our own history, and perhaps in any history. In Franklin's Autobiography is offered not so much a ready-made formula for success, as the companionship of a real flesh and blood man of extraordinary mind and quality, whose daily walk and conversation will help us to meet our own difficulties, much as does the example of a wise and strong friend. While we are fascinated by the story, we absorb the human experience through which a strong and helpful character is building. The thing that makes Franklin's Autobiography different from every other life story of a great and successful man is just this human aspect of the account. Franklin told the story of his life, as he himself says, for the benefit of his posterity. He wanted to help them by the relation of his own rise from obscurity and poverty to eminence and wealth. He is not unmindful of the importance of his public services and their recognition, yet his accounts of these achievements are given only as a part of the story, and the vanity displayed is incidental and in keeping with the honesty of the recital. There is nothing of the impossible in the method and practice of Franklin as he sets them forth. The youth who reads the fascinating story is astonished to find that Franklin in his early years struggled with the same everyday passions and difficulties that he himself experiences, and he loses the sense of discouragement that comes from a realization of his own shortcomings and inability to attain. There are other reasons why the Autobiography should be an intimate friend of American young people. Here they may establish a close relationship with one of the foremost Americans as well as one of the wisest men of his age. The life of Benjamin Franklin is of importance to every American primarily because of the part he played in securing the independence of the United States and in establishing it as a nation. 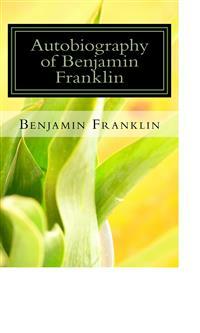 Franklin shares with Washington the honors of the Revolution, and of the events leading to the birth of the new nation. While Washington was the animating spirit of the struggle in the colonies, Franklin was its ablest champion abroad. To Franklin's cogent reasoning and keen satire, we owe the clear and forcible presentation of the American case in England and France; while to his personality and diplomacy as well as to his facile pen, we are indebted for the foreign alliance and the funds without which Washington's work must have failed. His patience, fortitude, and practical wisdom, coupled with self-sacrificing devotion to the cause of his country, are hardly less noticeable than similar qualities displayed by Washington. In fact, Franklin as a public man was much like Washington, especially in the entire disinterestedness of his public service. Franklin is also interesting to us because by his life and teachings he has done more than any other American to advance the material prosperity of his countrymen. It is said that his widely and faithfully read maxims made Philadelphia and Pennsylvania wealthy, while Poor Richard's pithy sayings, translated into many languages, have had a world-wide influence. Franklin is a good type of our American manhood. Although not the wealthiest or the most powerful, he is undoubtedly, in the versatility of his genius and achievements, the greatest of our self-made men. The simple yet graphic story in the Autobiography of his steady rise from humble boyhood in a tallow-chandler shop, by industry, economy, and perseverance in self-improvement, to eminence, is the most remarkable of all the remarkable histories of our self-made men. It is in itself a wonderful illustration of the results possible to be attained in a land of unequaled opportunity by following Franklin's maxims. Franklin's fame, however, was not confined to his own country. Although he lived in a century notable for the rapid evolution of scientific and political thought and activity, yet no less a keen judge and critic than Lord Jeffrey, the famous editor of the Edinburgh Review, a century ago said that "in one point of view the name of Franklin must be considered as standing higher than any of the others which illustrated the eighteenth century. Distinguished as a statesman, he was equally great as a philosopher, thus uniting in himself a rare degree of excellence in both these pursuits, to excel in either of which is deemed the highest praise." Franklin has indeed been aptly called "many-sided." He was eminent in science and public service, in diplomacy and in literature. He was the Edison of his day, turning his scientific discoveries to the benefit of his fellow-men. He perceived the identity of lightning and electricity and set up the lightning rod. He invented the Franklin stove, still widely used, and refused to patent it. He possessed a masterly shrewdness in business and practical affairs. Carlyle called him the father of all the Yankees. He founded a fire company, assisted in founding a hospital, and improved the cleaning and lighting of streets. He developed journalism, established the American Philosophical Society, the public library in Philadelphia, and the University of Pennsylvania. He organized a postal system for the colonies, which was the basis of the present United States Post Office. Bancroft, the eminent historian, called him "the greatest diplomatist of his century." He perfected the Albany Plan of Union for the colonies. He is the only statesman who signed the Declaration of Independence, the Treaty of Alliance with France, the Treaty of Peace with England, and the Constitution. As a writer, he has produced, in his Autobiography and in Poor Richard's Almanac, two works that are not surpassed by similar writing. He received honorary degrees from Harvard and Yale, from Oxford and St. Andrews, and was made a fellow of the Royal Society, which awarded him the Copley gold medal for improving natural knowledge. He was one of the eight foreign associates of the French Academy of Science. The careful study of the Autobiography is also valuable because of the style in which it is written. If Robert Louis Stevenson is right in believing that his remarkable style was acquired by imitation then the youth who would gain the power to express his ideas clearly, forcibly, and interestingly cannot do better than to study Franklin's method. Franklin's fame in the scientific world was due almost as much to his modest, simple, and sincere manner of presenting his discoveries and to the precision and clearness of the style in which he described his experiments, as to the results he was able to announce. Sir Humphry Davy, the celebrated English chemist, himself an excellent literary critic as well as a great scientist, said: "A singular felicity guided all Franklin's researches, and by very small means he established very grand truths. The style and manner of his publication on electricity are almost as worthy of admiration as the doctrine it contains." As far as American literature is concerned, Franklin has no contemporaries. Before the Autobiography only one literary work of importance had been produced in this country—Cotton Mather's Magnalia, a church history of New England in a ponderous, stiff style. Franklin was the first American author to gain a wide and permanent reputation in Europe. The Autobiography, Poor Richard, Father Abraham's Speech or The Way to Wealth, as well as some of the Bagatelles, are as widely known abroad as any American writings. Franklin must also be classed as the first American humorist. English literature of the eighteenth century was characterized by the development of prose. Periodical literature reached its perfection early in the century in The Tatler and The Spectator of Addison and Steele. Pamphleteers flourished throughout the period. The homelier prose of Bunyan and Defoe gradually gave place to the more elegant and artificial language of Samuel Johnson, who set the standard for prose writing from 1745 onward. This century saw the beginnings of the modern novel, in Fielding's Tom Jones, Richardson's Clarissa Harlowe, Sterne's Tristram Shandy, and Goldsmith's Vicar of Wakefield. Gibbon wrote The Decline and Fall of the Roman Empire, Hume his History of England, and Adam Smith the Wealth of Nations. In the simplicity and vigor of his style Franklin more nearly resembles the earlier group of writers. In his first essays he was not an inferior imitator of Addison. In his numerous parables, moral allegories, and apologues he showed Bunyan's influence. But Franklin was essentially a journalist. In his swift, terse style, he is most like Defoe, who was the first great English journalist and master of the newspaper narrative. The style of both writers is marked by homely, vigorous expression, satire, burlesque, repartee. Here the comparison must end. Defoe and his contemporaries were authors. Their vocation was writing and their success rests on the imaginative or creative power they displayed. To authorship Franklin laid no claim. He wrote no work of the imagination. He developed only incidentally a style in many respects as remarkable as that of his English contemporaries. He wrote the best autobiography in existence, one of the most widely known collections of maxims, and an unsurpassed series of political and social satires, because he was a man of unusual scope of power and usefulness, who knew how to tell his fellow-men the secrets of that power and that usefulness. The account of how Franklin's Autobiography came to be written and of the adventures of the original manuscript forms in itself an interesting story. The Autobiography is Franklin's longest work, and yet it is only a fragment. The first part, written as a letter to his son, William Franklin, was not intended for publication; and the composition is more informal and the narrative more personal than in the second part, from 1730 on, which was written with a view to publication. The entire manuscript shows little evidence of revision. In fact, the expression is so homely and natural that his grandson, William Temple Franklin, in editing the work changed some of the phrases because he thought them inelegant and vulgar. Franklin began the story of his life while on a visit to his friend, Bishop Shipley, at Twyford, in Hampshire, southern England, in 1771. He took the manuscript, completed to 1731, with him when he returned to Philadelphia in 1775. It was left there with his other papers when he went to France in the following year, and disappeared during the confusion incident to the Revolution. Twenty-three pages of closely written manuscript fell into the hands of Abel James, an old friend, who sent a copy to Franklin at Passy, near Paris, urging him to complete the story. Franklin took up the work at Passy in 1784 and carried the narrative forward a few months. He changed the plan to meet his new purpose of writing to benefit the young reader. His work was soon interrupted and was not resumed until 1788, when he was at home in Philadelphia. He was now old, infirm, and suffering, and was still engaged in public service. Under these discouraging conditions the work progressed slowly. It finally stopped when the narrative reached the year 1757. Copies of the manuscript were sent to friends of Franklin in England and France, among others to Monsieur Le Veillard at Paris. The first edition of the Autobiography was published in French at Paris in 1791. It was clumsily and carelessly translated, and was imperfect and unfinished. Where the translator got the manuscript is not known. Le Veillard disclaimed any knowledge of the publication. From this faulty French edition many others were printed, some in Germany, two in England, and another in France, so great was the demand for the work. In the meantime the original manuscript of the Autobiography had started on a varied and adventurous career. It was left by Franklin with his other works to his grandson, William Temple Franklin, whom Franklin designated as his literary executor. When Temple Franklin came to publish his grandfather's works in 1817, he sent the original manuscript of the Autobiography to the daughter of Le Veillard in exchange for her father's copy, probably thinking the clearer transcript would make better printer's copy. The original manuscript thus found its way to the Le Veillard family and connections, where it remained until sold in 1867 to Mr. John Bigelow, United States Minister to France. By him it was later sold to Mr. E. Dwight Church of New York, and passed with the rest of Mr. Church's library into the possession of Mr. Henry E. Huntington. The original manuscript of Franklin's Autobiography now rests in the vault in Mr. Huntington's residence at Fifth Avenue and Fifty-seventh Street, New York City. When Mr. Bigelow came to examine his purchase, he was astonished to find that what people had been reading for years as the authentic Life of Benjamin Franklin by Himself, was only a garbled and incomplete version of the real Autobiography. Temple Franklin had taken unwarranted liberties with the original. Mr. Bigelow says he found more than twelve hundred changes in the text. In 1868, therefore, Mr. Bigelow published the standard edition of Franklin's Autobiography. It corrected errors in the previous editions and was the first English edition to contain the short fourth part, comprising the last few pages of the manuscript, written during the last year of Franklin's life. Mr. Bigelow republished the Autobiography, with additional interesting matter, in three volumes in 1875, in 1905, and in 1910. The text in this volume is that of Mr. Bigelow's editions. The Autobiography has been reprinted in the United States many scores of times and translated into all the languages of Europe. It has never lost its popularity and is still in constant demand at circulating libraries. The reason for this popularity is not far to seek. For in this work Franklin told in a remarkable manner the story of a remarkable life. He displayed hard common sense and a practical knowledge of the art of living. He selected and arranged his material, perhaps unconsciously, with the unerring instinct of the journalist for the best effects. His success is not a little due to his plain, clear, vigorous English. He used short sentences and words, homely expressions, apt illustrations, and pointed allusions. Franklin had a most interesting, varied, and unusual life. He was one of the greatest conversationalists of his time. His book is the record of that unusual life told in Franklin's own unexcelled conversational style. It is said that the best parts of Boswell's famous biography of Samuel Johnson are those parts where Boswell permits Johnson to tell his own story. In the Autobiography a no less remarkable man and talker than Samuel Johnson is telling his own story throughout. Pages 1 and 4 of The Pennsylvania Gazette, the first number after Franklin took control. Reduced nearly one-half. Reproduced from a copy at the New York Public Library. The Many-Sided Franklin. Paul L. Ford. For the division into chapters and the chapter titles, however, the present editor is responsible. Twyford, at the Bishop of St. Asaph's, 1771.
block-d EAR SON: I have ever had pleasure in obtaining any little anecdotes of my ancestors. You may remember the inquiries I made among the remains of my relations when you were with me in England, and the journey I undertook for that purpose. Imagining it may be equally agreeable to you to know the circumstances of my life, many of which you are yet unacquainted with, and expecting the enjoyment of a week's uninterrupted leisure in my present country retirement, I sit down to write them for you. To which I have besides some other inducements. Having emerged from the poverty and obscurity in which I was born and bred, to a state of affluence and some degree of reputation in the world, and having gone so far through life with a considerable share of felicity, the conducing means I made use of, which with the blessing of God so well succeeded, my posterity may like to know, as they may find some of them suitable to their own situations, and therefore fit to be imitated. That felicity, when I reflected on it, has induced me sometimes to say, that were it offered to my choice, I should have no objection to a repetition of the same life from its beginning, only asking the advantages authors have in a second edition to correct some faults of the first. So I might, besides correcting the faults, change some sinister accidents and events of it for others more favourable. But though this were denied, I should still accept the offer. Since such a repetition is not to be expected, the next thing most like living one's life over again seems to be a recollection of that life, and to make that recollection as durable as possible by putting it down in writing. Hereby, too, I shall indulge the inclination so natural in old men, to be talking of themselves and their own past actions; and I shall indulge it without being tiresome to others, who, through respect to age, might conceive themselves obliged to give me a hearing, since this may be read or not as anyone pleases. And, lastly (I may as well confess it, since my denial of it will be believed by nobody), perhaps I shall a good deal gratify my own vanity. Indeed, I scarce ever heard or saw the introductory words, "Without vanity I may say," etc., but some vain thing immediately followed. Most people dislike vanity in others, whatever share they have of it themselves; but I give it fair quarter wherever I meet with it, being persuaded that it is often productive of good to the possessor, and to others that are within his sphere of action; and therefore, in many cases, it would not be altogether absurd if a man were to thank God for his vanity among the other comforts of life. Gibbon and Hume, the great British historians, who were contemporaries of Franklin, express in their autobiographies the same feeling about the propriety of just self-praise. And now I speak of thanking God, I desire with all humility to acknowledge that I owe the mentioned happiness of my past life to His kind providence, which lead me to the means I used and gave them success. My belief of this induces me to hope, though I must not presume, that the same goodness will still be exercised toward me, in continuing that happiness, or enabling me to bear a fatal reverse, which I may experience as others have done; the complexion of my future fortune being known to Him only in whose power it is to bless to us even our afflictions. The notes one of my uncles (who had the same kind of curiosity in collecting family anecdotes) once put into my hands, furnished me with several particulars relating to our ancestors. From these notes I learned that the family had lived in the same village, Ecton, in Northamptonshire, for three hundred years, and how much longer he knew not (perhaps from the time when the name of Franklin, that before was the name of an order of people, was assumed by them as a surname when others took surnames all over the kingdom), on a freehold of about thirty acres, aided by the smith's business, which had continued in the family till his time, the eldest son being always bred to that business; a custom which he and my father followed as to their eldest sons. When I searched the registers at Ecton, I found an account of their births, marriages and burials from the year 1555 only, there being no registers kept in that parish at any time preceding. By that register I perceived that I was the youngest son of the youngest son for five generations back. My grandfather Thomas, who was born in 1598, lived at Ecton till he grew too old to follow business longer, when he went to live with his son John, a dyer at Banbury, in Oxfordshire, with whom my father served an apprenticeship. There my grandfather died and lies buried. We saw his gravestone in 1758. His eldest son Thomas lived in the house at Ecton, and left it with the land to his only child, a daughter, who, with her husband, one Fisher, of Wellingborough, sold it to Mr. Isted, now lord of the manor there. My grandfather had four sons that grew up, viz. : Thomas, John, Benjamin and Josiah. I will give you what account I can of them at this distance from my papers, and if these are not lost in my absence, you will among them find many more particulars. Thomas was bred a smith under his father; but, being ingenious, and encouraged in learning (as all my brothers were) by an Esquire Palmer, then the principal gentleman in that parish, he qualified himself for the business of scrivener; became a considerable man in the county; was a chief mover of all public-spirited undertakings for the county or town of Northampton, and his own village, of which many instances were related of him; and much taken notice of and patronized by the then Lord Halifax. He died in 1702, January 6, old style, just four years to a day before I was born. The account we received of his life and character from some old people at Ecton, I remember, struck you as something extraordinary, from its similarity to what you knew of mine. "Had he died on the same day," you said, "one might have supposed a transmigration." John was bred a dyer, I believe of woollens, Benjamin was bred a silk dyer, serving an apprenticeship at London. He was an ingenious man. I remember him well, for when I was a boy he came over to my father in Boston, and lived in the house with us some years. He lived to a great age. His grandson, Samuel Franklin, now lives in Boston. He left behind him two quarto volumes, MS., of his own poetry, consisting of little occasional pieces addressed to his friends and relations, of which the following, sent to me, is a specimen. He had formed a short-hand of his own, which he taught me, but, never practising it, I have now forgot it. I was named after this uncle, there being a particular affection between him and my father. He was very pious, a great attender of sermons of the best preachers, which he took down in his short-hand, and had with him many volumes of them. He was also much of a politician; too much, perhaps, for his station. There fell lately into my hands, in London, a collection he had made of all the principal pamphlets relating to public affairs, from 1641 to 1717; many of the volumes are wanting as appears by the numbering, but there still remain eight volumes in folio, and twenty-four in quarto and in octavo. A dealer in old books met with them, and knowing me by my sometimes buying of him, he brought them to me. It seems my uncle must have left them here when he went to America, which was about fifty years since. There are many of his notes in the margins. This obscure family of ours was early in the Reformation, and continued Protestants through the reign of Queen Mary, when they were sometimes in danger of trouble on account of their zeal against popery. They had got an English Bible, and to conceal and secure it, it was fastened open with tapes under and within the cover of a joint-stool. When my great-great-grandfather read it to his family, he turned up the joint-stool upon his knees, turning over the leaves then under the tapes. One of the children stood at the door to give notice if he saw the apparitor coming, who was an officer of the spiritual court. In that case the stool was turned down again upon its feet, when the Bible remained concealed under it as before. This anecdote I had from my uncle Benjamin. The family continued all of the Church of England till about the end of Charles the Second's reign, when some of the ministers that had been outed for non-conformity, holding conventicles in Northamptonshire, Benjamin and Josiah adhered to them, and so continued all their lives: the rest of the family remained with the Episcopal Church. Birthplace of Franklin. Milk Street, Boston. Josiah, my father, married young, and carried his wife with three children into New England, about 1682. The conventicles having been forbidden by law, and frequently disturbed, induced some considerable men of his acquaintance to remove to that country, and he was prevailed with to accompany them thither, where they expected to enjoy their mode of religion with freedom. By the same wife he had four children more born there, and by a second wife ten more, in all seventeen; of which I remember thirteen sitting at one time at his table, who all grew up to be men and women, and married; I was the youngest son, and the youngest child but two, and was born in Boston, New England. My mother, the second wife, was Abiah Folger, daughter of Peter Folger, one of the first settlers of New England, of whom honorable mention is made by Cotton Mather, in his church history of that country, entitled Magnalia Christi Americana, as "a godly, learned Englishman," if I remember the words rightly. I have heard that he wrote sundry small occasional pieces, but only one of them was printed, which I saw now many years since. It was written in 1675, in the home-spun verse of that time and people, and addressed to those then concerned in the government there. It was in favour of liberty of conscience, and in behalf of the Baptists, Quakers, and other sectaries that had been under persecution, ascribing the Indian wars, and other distresses that had befallen the country, to that persecution, as so many judgments of God to punish so heinous an offense, and exhorting a repeal of those uncharitable laws. The whole appeared to me as written with a good deal of decent plainness and manly freedom. The six concluding lines I remember, though I have forgotten the two first of the stanza; but the purport of them was, that his censures proceeded from good-will, and, therefore, he would be known to be the author. My elder brothers were all put apprentices to different trades. I was put to the grammar-school at eight years of age, my father intending to devote me, as the tithe of his sons, to the service of the Church. My early readiness in learning to read (which must have been very early, as I do not remember when I could not read), and the opinion of all his friends, that I should certainly make a good scholar, encouraged him in this purpose of his. My uncle Benjamin, too, approved of it, and proposed to give me all his short-hand volumes of sermons, I suppose as a stock to set up with, if I would learn his character. I continued, however, at the grammar-school not quite one year, though in that time I had risen gradually from the middle of the class of that year to be the head of it, and farther was removed into the next class above it, in order to go with that into the third at the end of the year. But my father, in the meantime, from a view of the expense of a college education, which having so large a family he could not well afford, and the mean living many so educated were afterwards able to obtain—reasons that he gave to his friends in my hearing—altered his first intention, took me from the grammar-school, and sent me to a school for writing and arithmetic, kept by a then famous man, Mr. George Brownell, very successful in his profession generally, and that by mild, encouraging methods. Under him I acquired fair writing pretty soon, but I failed in the arithmetic, and made no progress in it. At ten years old I was taken home to assist my father in his business, which was that of a tallow-chandler and sope-boiler; a business he was not bred to, but had assumed on his arrival in New England, and on finding his dyeing trade would not maintain his family, being in little request. Accordingly, I was employed in cutting wick for the candles, filling the dipping mould and the moulds for cast candles, attending the shop, going of errands, etc. I disliked the trade, and had a strong inclination for the sea, but my father declared against it; however, living near the water, I was much in and about it, learnt early to swim well, and to manage boats; and when in a boat or canoe with other boys, I was commonly allowed to govern, especially in any case of difficulty; and upon other occasions I was generally a leader among the boys, and sometimes led them into scrapes, of which I will mention one instance, as it shows an early projecting public spirit, tho' not then justly conducted. There was a salt-marsh that bounded part of the mill-pond, on the edge of which, at high water, we used to stand to fish for minnows. By much trampling, we had made it a mere quagmire. My proposal was to build a wharf there fit for us to stand upon, and I showed my comrades a large heap of stones, which were intended for a new house near the marsh, and which would very well suit our purpose. Accordingly, in the evening, when the workmen were gone, I assembled a number of my playfellows, and working with them diligently like so many emmets, sometimes two or three to a stone, we brought them all away and built our little wharf. The next morning the workmen were surprised at missing the stones, which were found in our wharf. Inquiry was made after the removers; we were discovered and complained of; several of us were corrected by our fathers; and, though I pleaded the usefulness of the work, mine convinced me that nothing was useful which was not honest. I think you may like to know something of his person and character. He had an excellent constitution of body, was of middle stature, but well set, and very strong; he was ingenious, could draw prettily, was skilled a little in music, and had a clear, pleasing voice, so that when he played psalm tunes on his violin and sung withal, as he sometimes did in an evening after the business of the day was over, it was extremely agreeable to hear. He had a mechanical genius too, and, on occasion, was very handy in the use of other tradesmen's tools; but his great excellence lay in a sound understanding and solid judgment in prudential matters, both in private and publick affairs. In the latter, indeed, he was never employed, the numerous family he had to educate and the straitness of his circumstances keeping him close to his trade; but I remember well his being frequently visited by leading people, who consulted him for his opinion in affairs of the town or of the church he belonged to, and showed a good deal of respect for his judgment and advice: he was also much consulted by private persons about their affairs when any difficulty occurred, and frequently chosen an arbitrator between contending parties. At his table he liked to have, as often as he could, some sensible friend or neighbor to converse with, and always took care to start some ingenious or useful topic for discourse, which might tend to improve the minds of his children. By this means he turned our attention to what was good, just, and prudent in the conduct of life; and little or no notice was ever taken of what related to the victuals on the table, whether it was well or ill dressed, in or out of season, of good or bad flavor, preferable or inferior to this or that other thing of the kind, so that I was bro't up in such a perfect inattention to those matters as to be quite indifferent what kind of food was set before me, and so unobservant of it, that to this day if I am asked I can scarce tell a few hours after dinner what I dined upon. This has been a convenience to me in traveling, where my companions have been sometimes very unhappy for want of a suitable gratification of their more delicate, because better instructed, tastes and appetites. She, a discreet and virtuous woman. J. F. born 1655, died 1744, Ætat 89. A. F. born 1667, died 1752, —— 85. By my rambling digressions I perceive myself to be grown old. I us'd to write more methodically. But one does not dress for private company as for a publick ball. 'Tis perhaps only negligence. To return: I continued thus employed in my father's business for two years, that is, till I was twelve years old; and my brother John, who was bred to that business, having left my father, married, and set up for himself at Rhode Island, there was all appearance that I was destined to supply his place, and become a tallow-chandler. But my dislike to the trade continuing, my father was under apprehensions that if he did not find one for me more agreeable, I should break away and get to sea, as his son Josiah had done, to his great vexation. He therefore sometimes took me to walk with him, and see joiners, bricklayers, turners, braziers, etc., at their work, that he might observe my inclination, and endeavor to fix it on some trade or other on land. It has ever since been a pleasure to me to see good workmen handle their tools; and it has been useful to me, having learnt so much by it as to be able to do little jobs myself in my house when a workman could not readily be got, and to construct little machines for my experiments, while the intention of making the experiment was fresh and warm in my mind. My father at last fixed upon the cutler's trade, and my uncle Benjamin's son Samuel, who was bred to that business in London, being about that time established in Boston, I was sent to be with him some time on liking. But his expectations of a fee with me displeasing my father, I was taken home again. A small village not far from Winchester in Hampshire, southern England. Here was the country seat of the Bishop of St. Asaph, Dr. Jonathan Shipley, the "good Bishop," as Dr. Franklin used to style him. Their relations were intimate and confidential. In his pulpit, and in the House of Lords, as well as in society, the bishop always opposed the harsh measures of the Crown toward the Colonies.—Bigelow. In this connection Woodrow Wilson says, "And yet the surprising and delightful thing about this book (the Autobiography) is that, take it all in all, it has not the low tone of conceit, but is a staunch man's sober and unaffected assessment of himself and the circumstances of his career." January 17, new style. This change in the calendar was made in 1582 by Pope Gregory XIII, and adopted in England in 1752. Every year whose number in the common reckoning since Christ is not divisible by 4, as well as every year whose number is divisible by 100 but not by 400, shall have 365 days, and all other years shall have 366 days. In the eighteenth century there was a difference of eleven days between the old and the new style of reckoning, which the English Parliament canceled by making the 3rd of September, 1752, the 14th. The Julian calendar, or "old style," is still retained in Russia and Greece, whose dates consequently are now 13 days behind those of other Christian countries. The specimen is not in the manuscript of the Autobiography. Secret gatherings of dissenters from the established Church. Franklin was born on Sunday, January 6, old style, 1706, in a house on Milk Street, opposite the Old South Meeting House, where he was baptized on the day of his birth, during a snowstorm. The house where he was born was burned in 1810.—Griffin. Cotton Mather (1663-1728), clergyman, author, and scholar. Pastor of the North Church, Boston. He took an active part in the persecution of witchcraft. This marble having decayed, the citizens of Boston in 1827 erected in its place a granite obelisk, twenty-one feet high, bearing the original inscription quoted in the text and another explaining the erection of the monument. block-F ROM a child I was fond of reading, and all the little money that came into my hands was ever laid out in books. Pleased with the Pilgrim's Progress, my first collection was of John Bunyan's works in separate little volumes. I afterward sold them to enable me to buy R. Burton's Historical Collections; they were small chapmen's books,  and cheap, 40 or 50 in all. My father's little library consisted chiefly of books in polemic divinity, most of which I read, and have since often regretted that, at a time when I had such a thirst for knowledge, more proper books had not fallen in my way, since it was now resolved I should not be a clergyman. Plutarch's Lives there was in which I read abundantly, and I still think that time spent to great advantage. There was also a book of DeFoe's, called an Essay on Projects, and another of Dr. Mather's, called Essays to do Good, which perhaps gave me a turn of thinking that had an influence on some of the principal future events of my life. This bookish inclination at length determined my father to make me a printer, though he had already one son (James) of that profession. In 1717 my brother James returned from England with a press and letters to set up his business in Boston. I liked it much better than that of my father, but still had a hankering for the sea. To prevent the apprehended effect of such an inclination, my father was impatient to have me bound to my brother. I stood out some time, but at last was persuaded, and signed the indentures when I was yet but twelve years old. I was to serve as an apprentice till I was twenty-one years of age, only I was to be allowed journeyman's wages during the last year. In a little time I made great proficiency in the business, and became a useful hand to my brother. I now had access to better books. An acquaintance with the apprentices of booksellers enabled me sometimes to borrow a small one, which I was careful to return soon and clean. Often I sat up in my room reading the greatest part of the night, when the book was borrowed in the evening and to be returned early in the morning, lest it should be missed or wanted.